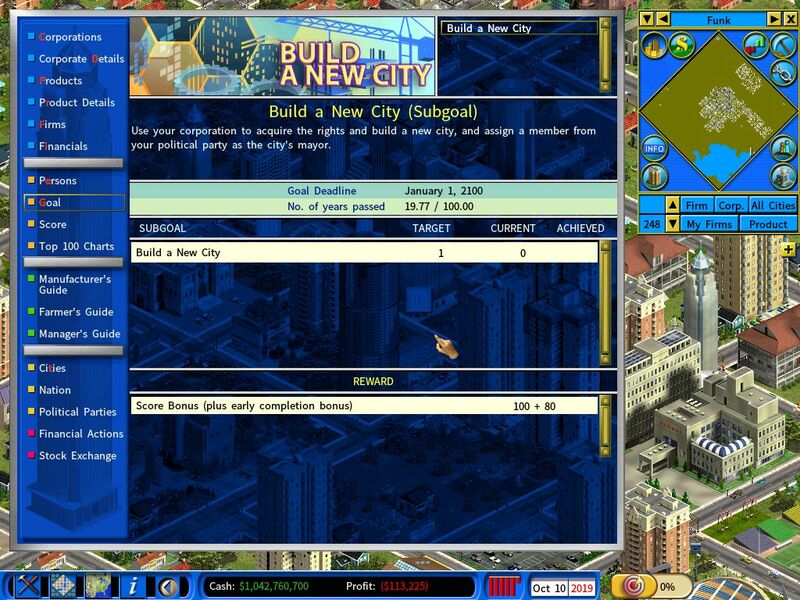 If you start a new game with the Developed City at the Beginning option disabled, you will be given a goal for building a new city as shown in the below screenshot. 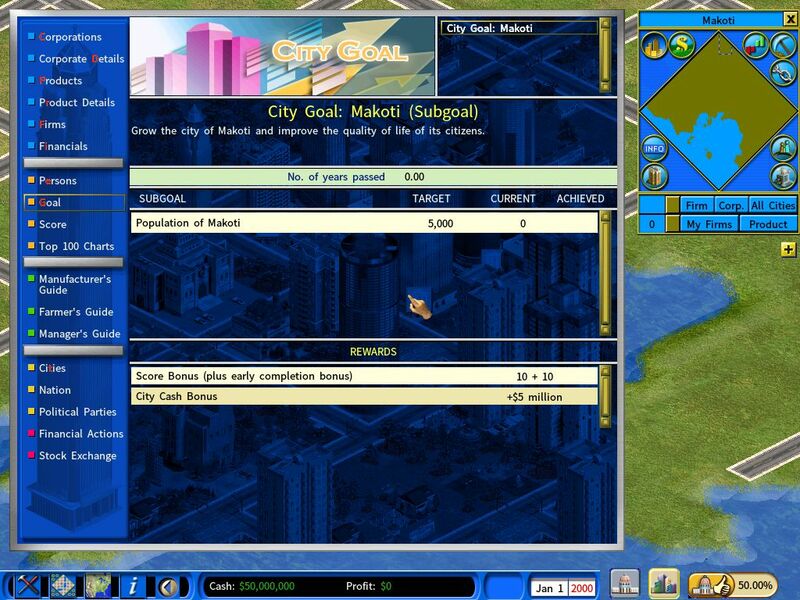 If you start a new game with the Developed City at the Beginning option enabled or you have built a new city in the game, you will be given a goal for reaching a population target, like the following screenshot shows. Your city will receive cash rewards when the goal is achieved.